Technology moves at such a breakneck speed that if you aren’t following it consistently, you are bound to be left behind. 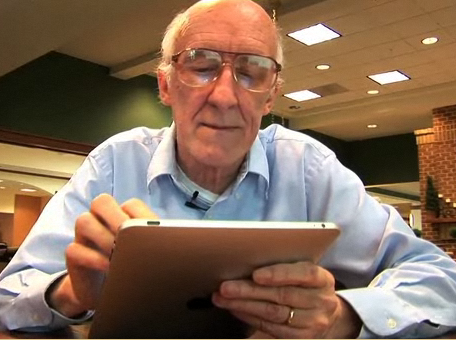 There has been a lot of research lately about the effects of mobile computing on the elderly. So far the results have been very positive. Research has indicated that older people can read three times faster using the iPad than a traditional book, due to its LED screen. With this knowledge of increased reading speeds for the elderly using digital media, the logical next step is to try to help with writing speed. With 7notes, we are always trying to close this gap. 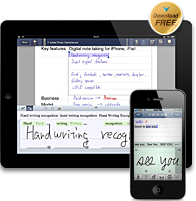 Our goal is to fuse usability and features seamlessly together and ease the transition into digital notetaking. “Technology changes so often. I still remember when using a typewriter was considered high-tech. When the PC became commonplace, I found myself lost with all the options and menus that pop up for such a simple task. I love that all my notes are in one place. I used to scatter my notes all over my desk and it was always so hard to keep track of them. The ability to enlarge text makes it so easy to read. Having template for different occasions is useful and being able to actually practice my handwriting is a great plus. With 7notes, I feel like I’m learning something that I can share with my grandkids.